After Voter ID Decision, What Happens Next? Attorneys for the state and the federal government will meet this month to iron out a timeline for the state's challenge to Section 5 of the Voting Rights Act. The litigation is why the state isn't able to immediately file an appeal to last week's voter ID decision. But voters shouldn’t expect to see anything change ahead of this year's general election, meaning that photo IDs probably won't be required to vote in the state in November. 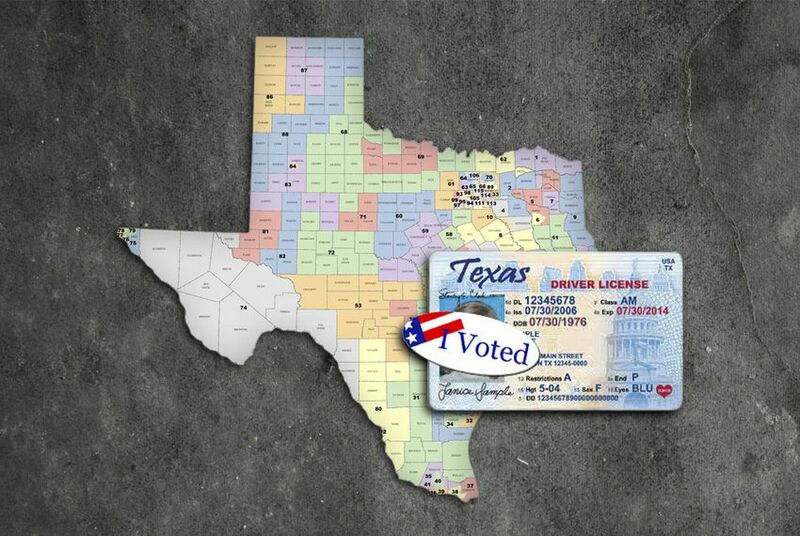 Because the court’s voter ID ruling was the result of a lawsuit also challenging Section 5 of the federal Voting Rights Act, and because the state has pending litigation over those requirements, the voter ID case is in limbo. Abbott conceded that changes were unlikely before this year’s election, telling The Associated Press last week that the timing "makes it impractical" for the high court to reverse the decision in time. Under Section 5 of the federal Voting Rights Act, the federal government – either a district court in Washington or the U.S. Department of Justice — must approve laws passed in states or territories with a history of racial discrimination. Texas is one of nine states entirely covered under Section 5, and other states like California and Florida are partially covered. Section 5 of the Voting Rights Act is in place until 2031. The next step for the state, Bean said, happens this month when attorneys for the state and for the Department of Justice have a conference call on Sept. 13 to determine the schedule for the Section 5 issue. Meanwhile, the secretary of state’s office is moving forward with its voter education campaign — but not doing anything that addresses voter ID specifically. Asked if there was a separate campaign to specifically address any lingering confusion that may be a result of the drawn-out voter ID battle, the office said that would be included in its overall campaign to help Texans learn about the voting process. “Again, we’re running a general education awareness program throughout the fall and letting people know where they can find the information and the resources they need and find out the information that they need,” said Rich Parsons, the secretary of state’s communications director.